ConservativeHome's ToryDiary: What will be in Brown's 2006 budget? The mud of corruption seems to be sticking to Blair, and half of the country want him to go within a year - Gordon Brown's tenth budget (inc. 1997) on Wednesday is looking even more likely to be his last. 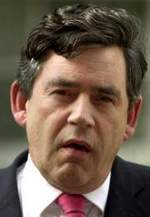 "Gordon Brown will launch a concerted attempt to boost London’s standing as a global financial centre, conceding the government must do more to promote one of the pillars of the British economy. Mr Brown’s focus on the City will be at the heart of the Budget’s broader theme to market the strength of the British economy internationally." Could Inheritance Tax (IHT) reform be on the cards? It could be a very popular move - last night a BBC News poll showed that a majority of the population would like to see it scrapped, even if it meant paying higher Income Tax. John Whiting of PriceWaterhouseCoopers reckons on a continuation of fiscal drag, a boost to Child Trust Funds, promotion of 'green' cars, and a repeat of council tax relief for pensioners. "Mr Blair will need more than a bowl of Lady Levy's chicken soup (the medicine he sends for when he has a bout of the flu) to perk him up. And to make matters worse, tomorrow he will have to sit through Gordon Brown's Master of the Universe performance on Budget Day. Mr Blair is, I gather, personally convinced that the Chancellor's finger was on the button that launched Jack Dromey's missile last week." Whether that last bit is true or not, it will be very interesting to see how this budget plays with Labour's internal politics. And what will be in David Cameron's reply? It will be his first test against Gordon Brown. Will he be able to define a distinctive position? Rachel Sylvester's line about Brown's 'Master of the Universe' performance is frighteningly apt. He could pull off a moment in which he appears as a demi-god with Blair and Cameron sitting uncomfortably at his feet. My fellow Tories may think I'm making too much of this man. Matthew Parris wrote not so long ago that he thought under all the posture there was actually nothing within. Certainly at the time of DC's first PMQs I thought it was Brown who looked like the nervous kid. But since then he has recovered brilliantly. Think just how much it will take to make people move from Prime Minister Brown, presiding over a pretty comfortable economy, to the untried DC. Our leader has already thrown away some of his best weapons - let's hope he has some better ones up his sleeve. Same old, same old. Taxes rises disguised as essential for increases (ie. more waste) on public services. No wonder Gordon is desperate to get out of Number 11 and into Number 10 as the economy wastes away. People are strange. Most of them arent wealthy enough to pay IHT, yet, would like to make up the difference on basic income tax, and make the tax system yet less progressive. I dont get it!? To me, IHT seems one of the last ways to at least redistribute some wealth and help encourage equality of oppurtunity, and i really am not someone who believes in redistribution. Id personally be very happy to see IH tax go up considerably, or the threshold lowered considerably, but rather fall on the 'inheritees' rather than the dead person. If lots of people have to share in the wealth and it is spread round, it avoids tax. If one child gets all the wealth, they pay tax. Death is an appalling excuse for the government to tax its citizens, no matter how wealthy. It also tends to hit middle-class families rather than the very wealthy, as the real "upper crust" can hire accountants to minimise their losses through taxation. If I were George Osborne I'd promise to abolish it from 2009: after all, it only brings in £3 billion in revenue and is relatively unpopular, as the BBC Poll showed. It could be their first new policy! I imagine that National Insurance might go up again, freezing of Tax Allowances perhaps, maybe freezing of duties on alcohol. Can't see much scope for tax cuts unless he is prepared to go for spending cuts or revision of already declared spending plans as well - which seems implausible, I'm sure this will be a balance the books sort of budget mostly. As always he will have some rabbits to pull out of the hat, there's bound to be some new Tax Credit or extension to an existing one or some new organisation, or pledge to stop something forever or to do something never done before. I think Tony Blair will hang on until the turn of 2009 as I am sure it is his intention to do. Charles Clarke mentioned today that he thought the Labour leadership election would be "something like summer 2008." He said he thought Mr Blair's successor should be given about 18 months to prepare. Charles Clarke also said that he was not privy to any actual information on this, it does seem fairly likely to be around then he stands down as party leader - I would think that it would be most likely that he would announce his standing down as leader during the 2008 Local Elections and that he would stand down as party leader as parliament closed for the summer, this would leave a new party leader ready for the party conference, he himself would carry on to the New Year and stand down then, finishing off odds and ends and it's liable to be Gordon Brown who wins, I imagine though he'll hold a June General Election on the same day as the Euro Elections and with the Local Elections set back to that date, the Euro Elections are set by the EU so the date of them can't be moved. 6. After mentioning them in about 3 Budgets before, the introduction of REITS, but not mentioning that the rules are so prescriptive no-one wants to use them.